Great news! For the first time, the Academy adds an 8 week Tai Chi Straight Sword class to our revolving workshop menu. If you are intrigued, in general, by the straight sword—it being one of the 4 grandparent weapons—or have been specifically wowed by the elegant yet effective Tai Shi Sword routine and usage, this series will introduce you to the basics, and of course teach you an authentic routine. Location: Academy of Martial & Internal Arts, 1570 Soquel Dr, S,C. Inexpensive Wooden swords will be available for purchase if you don’t have one of your own! We have just added a new 6 week class, starting April 25, to our very popular Tai Chi for Health Series. This one’s for intermediate students, those who have completed the short Tai Chi set at the Academy (or the equivalent). Co-taught by Narrye Caldwell, inestimable teacher of the Academy’s beginner Tai Chi For Health class, and Sifu Ted Mancuso, director of the Academy, it will focus on reviewing and refining the Yang Tai Chi short set, plus introduce simple push hand engagements and two-person loops. Happy New Year to all of our dear students. We treasure and appreciate your continued study and community at the Academy. We would not be here without you. We open this year with a small gift, a performance by Sifu Linda Darrigo. We filmed her performance during a class in Taiwan. We all—Ted, Debbie and Linda— send our warmest wishes to you and yours, for great peace, health and happiness in the New Year. Last Sunday, I got a double-treat: my teacher, Adam Hsu, is in town for a couple of weeks and I had the opportunity to not only see and spend time with him, but to make his Long Fist Kung Fu class available to my own students, most of whom had never met him. Of course, there is always a bit of trepidation presenting your students to your teacher: will they look good to another and more experienced eye? Will my teacher take me aside and, without sarcasm, ask what the hell I have been teaching them? Will my students look at my teacher’s instruction and wonder what the hell I have been teaching them? Will they like him more than me? OK, admittedly, not all of these are mature concerns, but, even after 50 years, it would be a lie to say they don’t exist. • Move like you’ve never moved before! 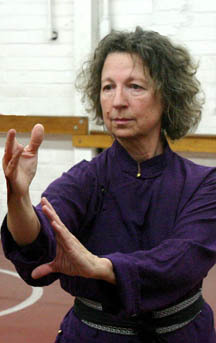 Taught by Narrye Caldwell, Doctor of Traditional Chinese Medicine, with 30 years Tai Chi experience. Narrye is a Licensed Acupuncturist with over 20 years of clinical and teaching experience. She has a private practice in Santa Cruz and is on the faculty at Five Branches University. Join us for the Kung Fu Tai Chi 25th Anniversary Festival and tournament in San Jose on May 19-21. We don’t get out much—certainly not as much as we would like—but this year we are showing up to celebrate Tiger Claw’s Anniversary, by attending the festivities, including the Grandmaster’s demo on Friday night, the Saturday and Sunday tournaments, and the 8th annual WildAid Tiger Claw Championship on Sunday. Plum’s entire crew (yes, all three of us!) will have a table with some of our exclusive books and DVDs, and we hope to meet face-to-face with you—our customers, readers and friends. Of course, the weekend itself will bring its own excitement. Tiger Claw is well-known for their professionally-run events. Additionally, Kung Fu Tai Chi is pleased to announce its cooperation with the International Wushu Sanshou Dao Association (IWSD) as they are celebrating their 30th anniversary this year. Finally, this year’s Friday night performances will highlight a special roster of traditional masters, many of whom do not perform regularly. If you are in the area, or thinking of travelling to visit, drop by and see us. Taekwondo and Tai Chi competition. A demonstration and workshop on the fine art of choking was a change in schedule for the Saturday morning Kung Fu class last week. Black sash instructor, Mike Gruber—highly knowledgeable about Kung Fu, and an expert Judo player—opened the class, demonstrating basic chokes and strangles (not the same thing). He explained that knowing how to execute chokes would render them much less worrisome for the recipient. At first everyone looked around, nervously, to see who would volunteer to be the first victim. But, once we started practicing the clear and safe instruction offered by Mike, everyone breathed easier. Next we pulled the mats out and worked anti-choke defenses from the ground. As predicted, key moves using the ground to neutralize chokes boosted confidence, not to mention effectiveness. A good presentation is made great by clarity and simplicity, and Mike showed a systemized presentation increasing, for teachers as well as students, their knowledge and tactile experience with this valuable martial skill. Year after year, Narrye Caldwell’s annual Chinese Astrological analysis has been one of our most popular and requested topics. We are happy to once again offer it here. All Chinese wisdom traditions, including medicine, divination, astrology, and feng shui, are systems of pattern identification that guide us in adapting gracefully to change. A world in flux is assumed; it is the one constant feature of life. Astrology is best viewed as a tool to discern where we are in the shifting cycles of time so we can adjust our expectations accordingly and therefore, from the Chinese point of view, cultivate longevity by not wasting our qi trying to swim against the current. Linking Fist from Adam Hsu’s popular children’s text. We are happy and proud to teach one of the best beginning Kung Fu forms: Sifu Adam Hsu’s Linking Fist. This combines elements of traditional practice with modern methods of instruction. The entire form is 16 movements with not one repeated. These take you through kicks, punching patterns and crucial stance training. A great beginner’s form! For a glimpse of the set, go to Sifu Marie Anthony’s Cupertino Kung Fu school. 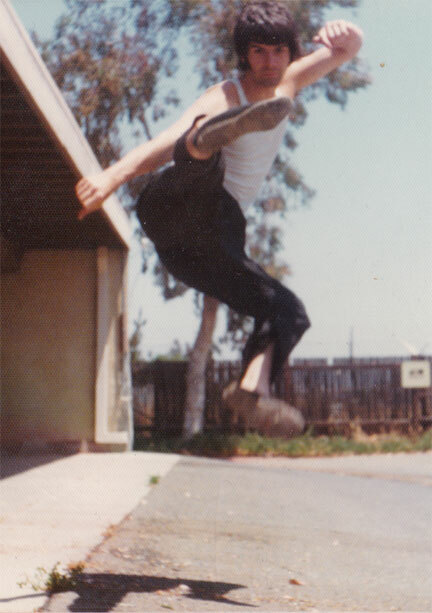 Today I celebrate fifty years in the martial arts. It has been long enough now to seem natural that it became my fate or, at least, a “way of life,” as everyone calls it. People ask me what could possibly be the attraction. I have to tell the truth and admit that I always believed that some human activities are as linked to us as the appetites and emotions we consider define a human being. It is true that, through historical changes, the aliens among us have warped some of these foundational approaches. But activities like dance, story-telling, religion, philosophy, love and celebration are all “arts” in ways that pre-date the commodity market we presently call society. It is true that all too often “the winners write history” suggesting to us that the answers lie in understanding what came before written history. The next great empire will be built on the sands of still unexploited cultures where ancient insights (that really are insights) may be bulldozed beneath the machinery of necessity. It is in times like these we need tend to those things that the future may see as “useless,” things like kindness, contemplation, harmony. Fifty years is a blink compared to these timeless pursuits. The teacher chosen to lead all these students and instructors, many generations of practice, is your grand teacher, Adam Hsu (Hsu Ji). The front line of this grop is crowded with famous instuctors of this art. Here, at the Academy, you are part of a hands-on tradition from many generations. I hope everyone is practicing and having a good time. Many schools go through a re-calibration when the head-instructor is away. But this is actually an important time in martial training, when students are face to face with one another instead of relating through the teacher. I hope the consequence is kindness, cooperation and camaraderie. I know that this sounds a bit hokey, but it took me a long time to see that harmony—such as I’m talking about—is not just some passionless dream. Harmony requires dynamic rather than static balance. I don’t know that “character” can be trained, but I do know that it exists and often martial practice can reveal its grain and color. It’s my hope that we get strong enought to remove some armor, rather than just polish it. Nowadays, everyone seems to want a practice. But the fact that martial arts practice has a path all its own may result in some disappointment to those seeking a casual gym-style experience. Such deep practice can render unexpected results. The art establishes a special relation to the body, leading to some confused feelings. I thought that it might be a benefit for students to recognize some signposts on the journey. Phases like those below do not follow a given sequence but, with the proper amount of practice, they will come. You may find that in the first few months you make strange mixtures of advancement . For instance, you are quite fast but your left hand seems to have its own brain. More permanent progress will occur when you just wake up one morning and discover that, overnight, you have become 300% better than when you turned in. Was it a magical night? Did you drink ancient Shaolin herbal formulas? Martial progress is rarely a straight march. Skills develop at inexplicable moments. Do not to worry about keeping up to the new standard. Adam Hsu is one of the top Kung Fu teachers in the world. He is also one of the “grandparent” teachers at the Academy, having taught both sifus Linda and Ted. 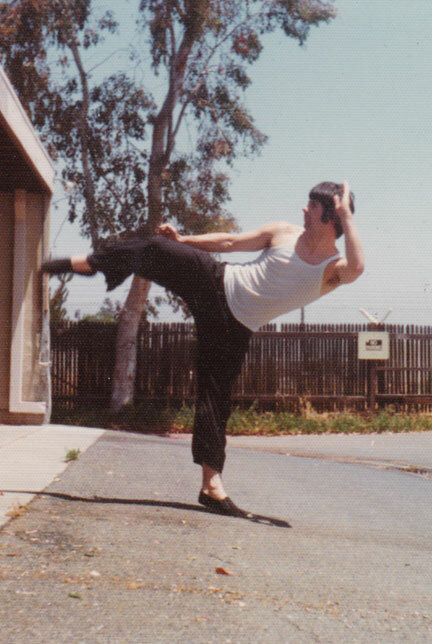 In this series—the first THREE parts now posted—he begins an in-depth conversation on the meaning of true Kung Fu. Want to watch on youtube? 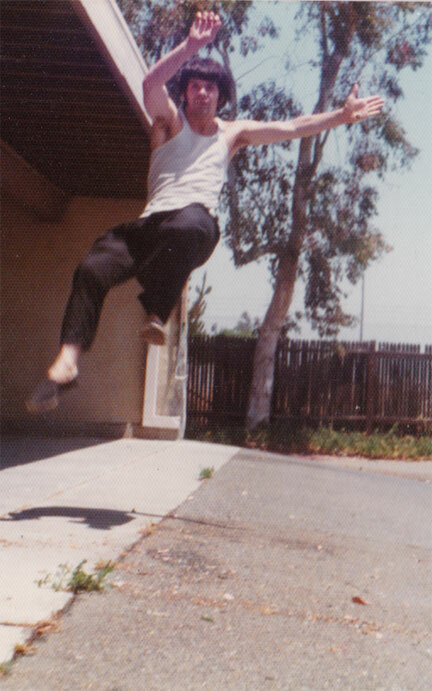 Next October, I will celebrate my 50th year in the martial arts. Interested in joining the Academy? Click HERE to watch a short video, and sign up for a FREE introductory class.